The IRS has released the Notice 1036 which gives us the early release of the percentage method tables plus the nonresident alien adjustment tables for 2015. 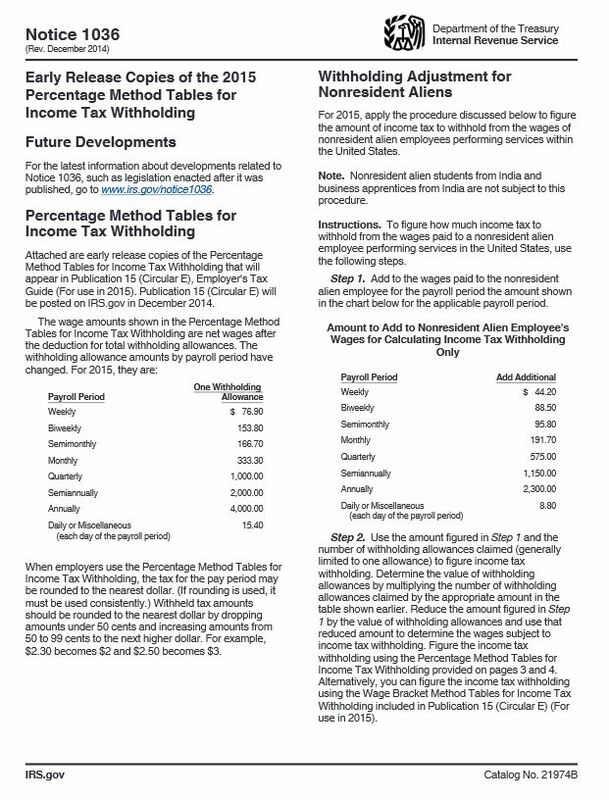 No real massive changes just updated for the new tax year. No change to supplemental withholding either. The Notice 1036 can be found out on the IRS website.